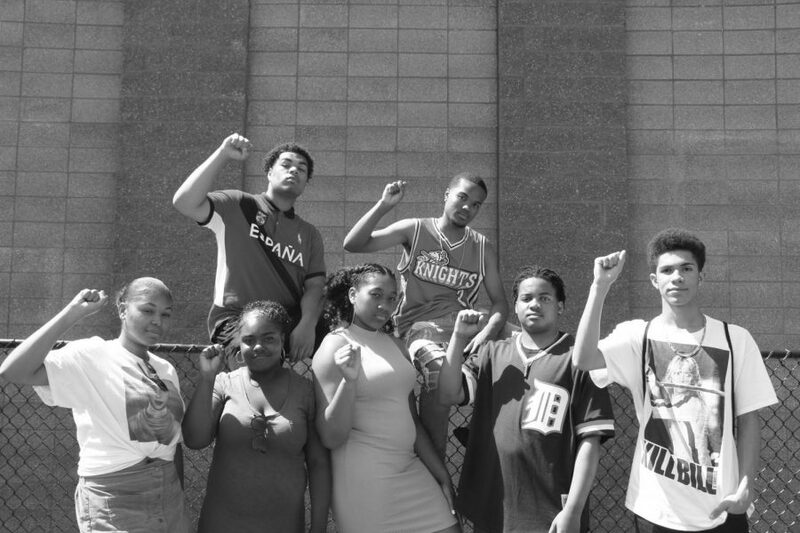 Young Black activist group from Seattle. On the morning of June 18th, 2017 Charleena Lyles, a pregnant African-American woman with 3 kids was shot and killed by A Seattle Police officer. The news quickly spread with the feeling of devastation and disappointment in the choices made by police. In response, Janelle Gary and six other students here at Garfield High School, demanded an end to all of these killings targeted towards African-Americans and decided to have a rally. “We went on snapchat, instagram, texted everyone we knew, made flyers to make sure that you will say her name and that you are going to say her name,” said Gary. With this Gary became co-founder of a group called “New Generation” in Seattle who are here to educate people of color and non-people of color about issues that are going on today in society. “A group of us and decided to go and have the rally and it was very successful and we had a really big turnout with media-coverage, and since then we saw the impact we had and knew we had to continue this and be that youth voice,” said Gary. Within their community they’re working on bringing each other together, no matter the age in order to become stronger and have everyone’s voice heard. “We are here to educate and help bridge the gap between the elders in our community with the younger generation, to get us to come together and find out those differences, and to see what both generations can do to become better,”said Aytch. Jamaica Aytch is another member who helped form New Generation into what it is today. Since the death of Lyles, New Generation has done a lot of community work in preparation to grow as a group. “We’ve had a local car wash in skyway, collaborated with a local churches, went to the roots family picnic (where everyone comes together to celebrate our roots), helped with the MLK assembly at Garfield High School combined with Black Student Union, went to dinner with former Black Panther leaders, and we were able to do a video with Michael Bennett,” said Aytch. The members of New Generation have been actively working on creating new events and programs to more help educate their community and have lots of upcoming events. “Right now we’re working on a project with Charleena Lyles for her one year anniversary death which is going to be at the end of the school year, working on a Juneteenth celebration for our independence day, and going back to the community where Charleena Lyles died to help clean up the community, plant flowers, and plant a tree to represent her,” said Gary. This group has lots of goals for the future and upcoming plans for them to help educate people not only in Seattle but all around the world. “I know the goal of this group is to become bigger than we are in Seattle, but our biggest goal is to branch out and to really reach people of color and non-people of color and to really educate them all around America, we also want people to really hear our message because we are the new generation and need to help the upcoming generation,” said Gary.